Upgrade the Wi-Fi connectivity of your laptop or desktop! Use the HW7ACU Wireless AC USB Network Adapter to instantly increase the speed of your network via USB port. Make the move to the latest Wireless AC Network Standard. 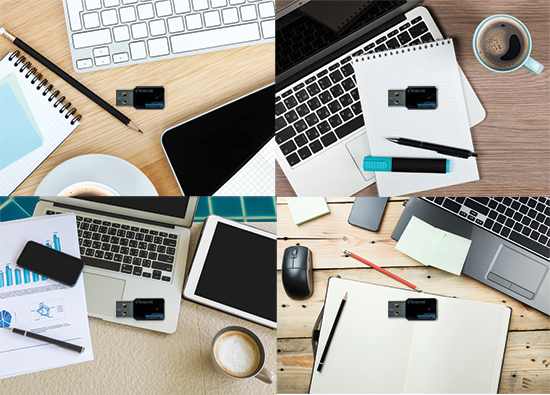 The small, compact profile of the HW7ACU Wireless AC USB Network Adapter is perfect for discreetly upgrading your laptop or desktop with the blazing fast speeds of Wireless AC. Maximize your networking flexibility allowing for greater Wireless AC Range and overall performance. 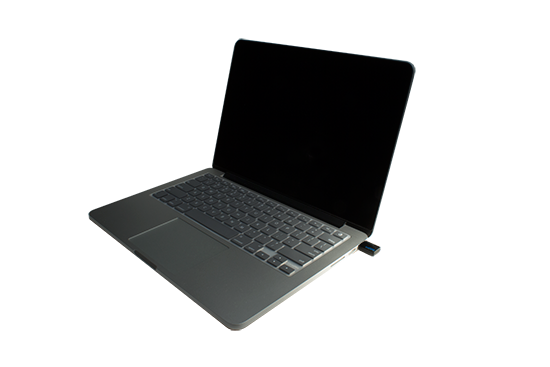 The perfect addition for your slim ultrabook, the HW7ACU is unobtrusive in design, but packs a powerful boost in networking speeds, almost 3x faster than 802.11n built-in Wi-Fi adapters. The HW7ACU Wireless AC USB Network Adapter also supports 802.11n backwards compatibility features, meaning you can still connect with other routers/repeaters/ access points that are not yet on the 802.11ac standard without having to change your settings. Stay portable whether you’re at home or on the go. The HW7ACU Wireless AC USB Network Adapter will deliver convenient and consistent wifi coverage for seamless HD streaming, gaming, and other data-intensive activities. Use the H7ACU Wireless AC USB Network Adapter at home, in your office, at the coffee shop, in the backyard, or in the garage. Maximize your networking range and speed with the HW7ACU Wireless AC USB Network Adapter! Because of the slim compact design of the HW7ACU Wireless AC USB Network Adapter, users can experience maximum network connectivity without losing the portability of laptops and ultrabooks. The unobtrusive USB port connector ensures that your adapter securely moves with you from the office, to the house, and everywhere in between. 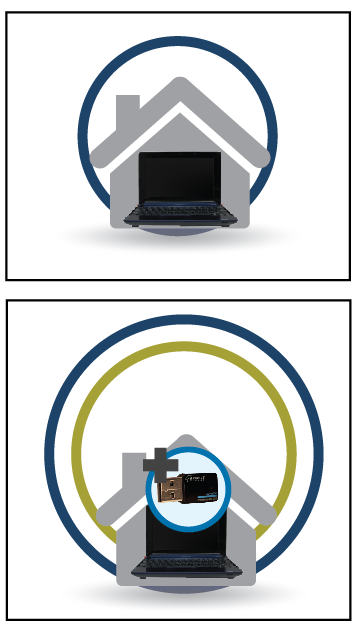 Most Wi-Fi enabled laptops and desktops have internal adapters. Therefore, it is difficult to pick up the strongest wireless signal and to change the settings of your antenna. In most cases, internal adapter performance diminishes past a 150foot radius, resulting in an unstable connection speed. This causes online activities such as surfing, video chatting, streaming, and gaming, to constantly lag. 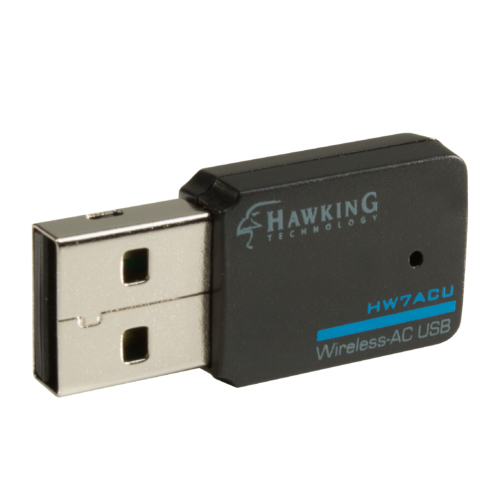 The HW7ACU Wireless AC USB Network Adapter is designed to increase your connection speeds on both the 2.4GHz and the 5.0GHz frequency. This provides high performance and long distance connections for your wireless network. 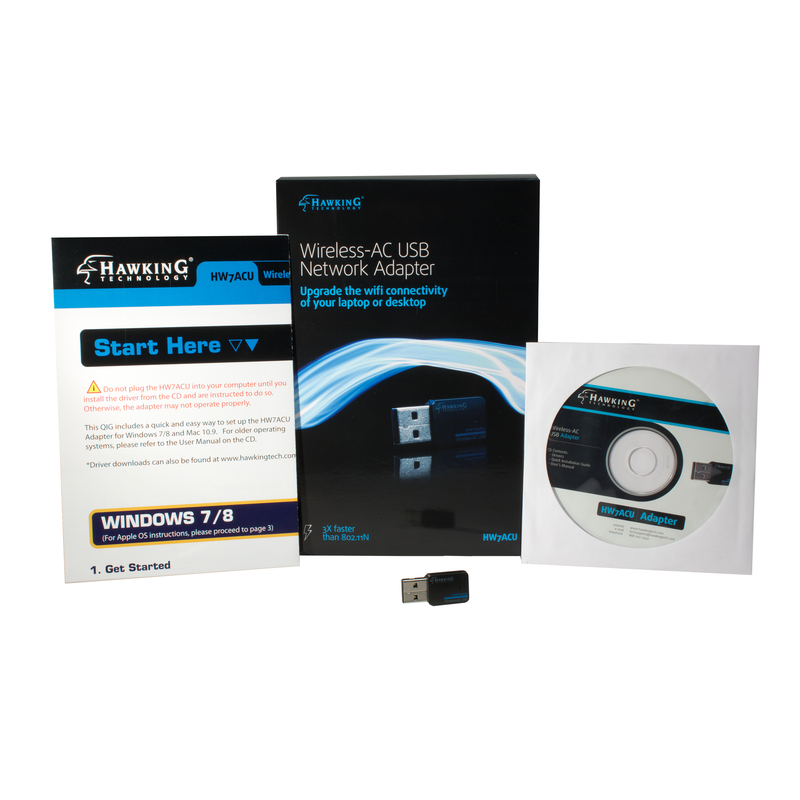 Use the HW7ACU Wireless AC USB Network Adapter to convert a laptop/desktop’s standard wired or wireless connection to a more reliable, faster Wireless-AC connection.